Christopher Cook received the Doctor of Music degree from Indiana University where he served as assistant director of the Center for Electronic and Computer Music. He is a recent recipient of a Fromm Music Foundation commission from Harvard University and has received awards from the National Endowment for the Arts, the American Society of Composers, Authors and Publishers, the Music Teachers National Association, and the National Assembly of Local Arts Agencies. 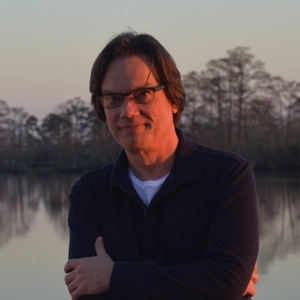 He has served as Composer-in-Residence at James Madison University, Amherst College, the University of Evansville, the Monroe County Community Schools Corporation (Indiana), and for the city of Somerset, Pennsylvania. His compositions are widely performed in university and festival settings including: June in Buffalo, Music of Our Time, the Indiana State University Contemporary Music Festival, The Society of Composers Inc., the Annual American Music Week (Sofia, Bulgaria), and the Utrecht Music Festival (The Netherlands). His Electro-acoustic works have been presented at numerous conferences and festivals including: the International Computer Music Conference, the Society for Electro-acoustic Music in the United States, the New York City Electroacoustic Music Festival, the Florida Electro-acoustic Music Festival, Electronic Music Midwest, and the InterMedia Manifold TechArt exhibit. He is Assistant Professor of Music at Chowan University.